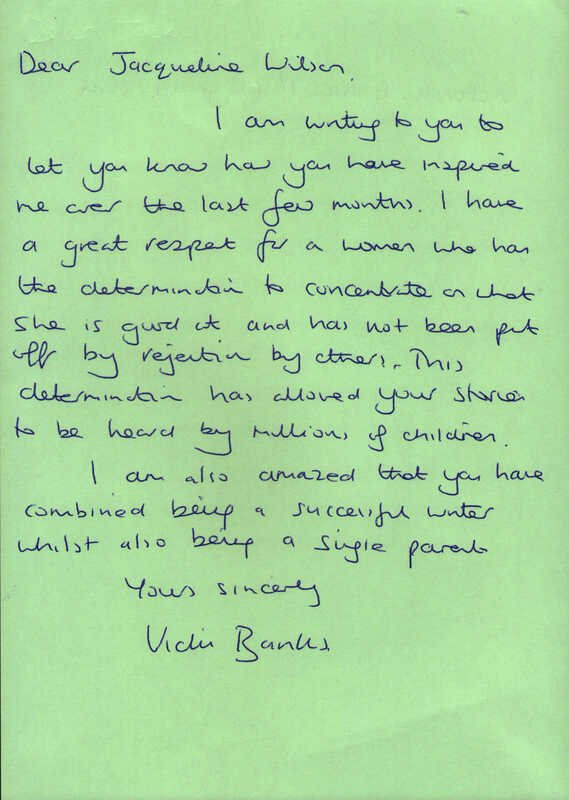 To Jacqueline Wilson, author. From Victoria Banks. I am writing to you to let you know how you have inspired me over the last few months. I have a great respect for a woman who has the determination to concentrate on what she is good at and has not been put off by rejection by others. This determination has allowed your stories to be heard by millions of children. I am also amazed that you have combined being a successful writer whist being a single parent. author. Born 1945. More information about Jacqueline Wilson.